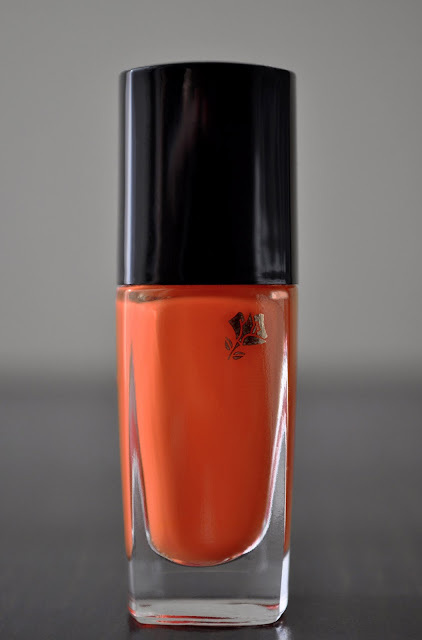 Although slightly muted, Joie De Vivre A33 is a vibrant persimmon, with a glossy creme finish. This shade can be worn year round, but it's a particularly nice pop of color, and shade departure, for fall and winter. Again, I loved the packaging. Here's the other print used in the collection. 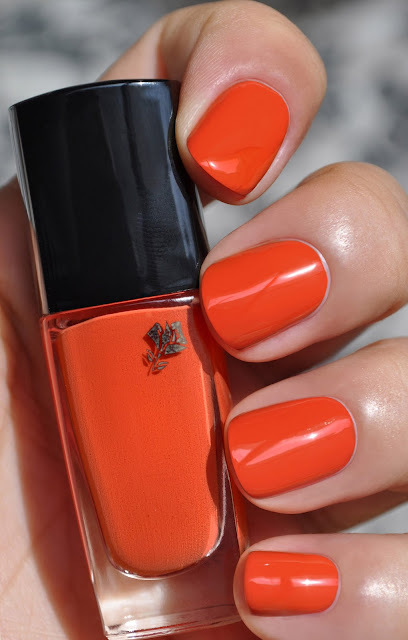 A cinch to apply, Joie De Vivre is flawlessly opaque in two coats. 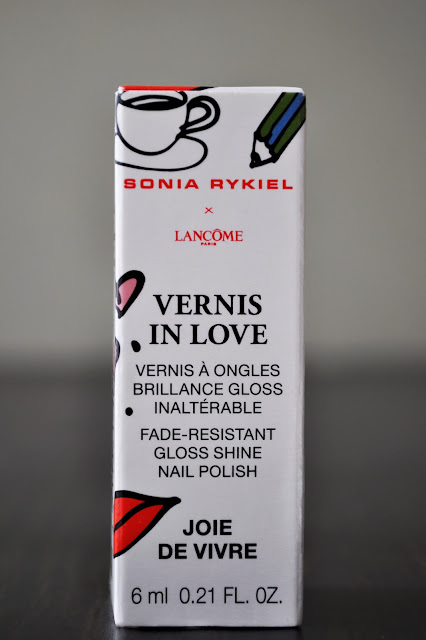 I own a fair amount of Lancome's Vernis in Love nail polishes, and every time I wear them, I'm reminded how creamy, smooth, and impressive the formula is; I need to showcase them more often. Anyhow, I almost get a full week of wear from Joie De Vivre , but for some minor tip wear creeping in around day 5 and 6. As for should it stay or should it go, Joie De Vivre is a definite stay.